Kenster I would say I have taken a similar approach to the lake. We sold our shack after the season closed in March of 2014. We were in South Bay. I have only fished the lake for walleye twice since(2014 and 2017) both in the open water, both catching good numbers of fish <40cm, none near 46cm. 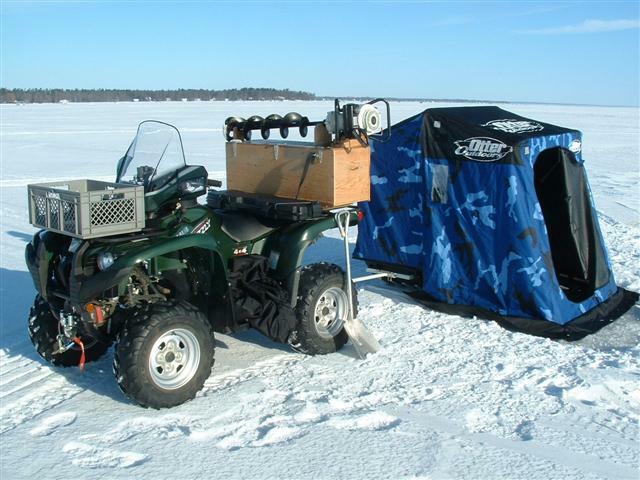 I fish perch on the ice only and only off the NBay shoreline because it is close. I would have expected fish greater than 46cm to be showing up in numbers after 5 years of no harvest. Starting to wonder if or when they might make a real showing. I just want to see the effort reflected in the number of quality fish caught as it should be by now. I personally don't keep walleye over 16" from any waterbody but I understand why the none under 46cm has been necessary. Sometimes late getting out and early taken off.Perhaps they still count the likes of Dolphin and Glenwood who are long gone.I would think the overall number of huts would be down just like the fishing. Northhunter wrote:Re; recreational harvest.. as little as it might appear to be right now, it will still increase with angler pressure and success. It was reported in the past that there were 1000 commercial hut licenses for Nip. It's a 10 week season. Say each bungalow gives up 1 keeper a week (which isn't out of the equation.. some guys come up and catch 2 or 3). That's 10,000 18"+ fish removed from the equation.. that ain't none or zero. Then here's the sea of "local" huts and freelance fishing that takes place. 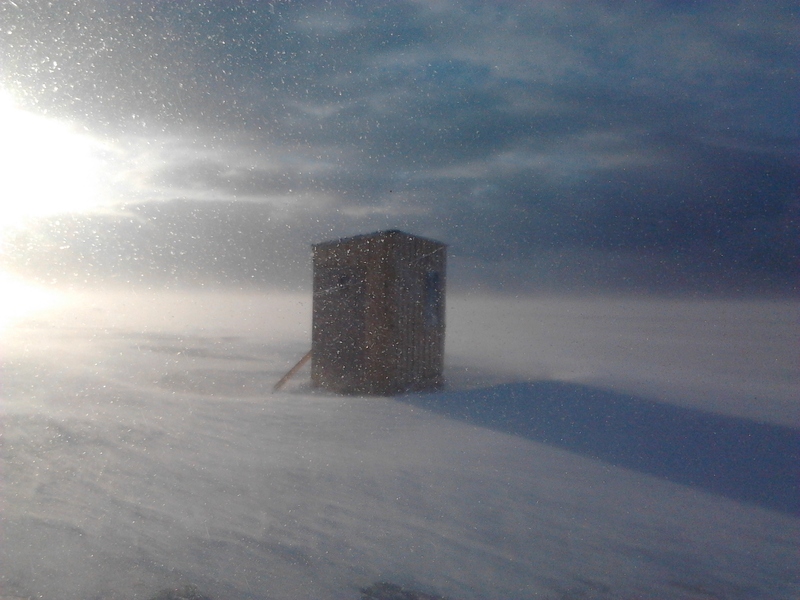 When we fished with Hyatt's old operation this year we were in a cluster of 5 huts out from the channel to Callander Bay. We were vastly outnumbered by privately owned permanent huts. We could see Deepwater Pt. and the usual city was still out there. I haven't seen a keeper in 3+ years and that includes talking to multiple other groups in our vicinity. We fished with one of the most reputable operators and very early in the season before the area gets "fished out". And yes, we bring machines and move around to get away from the crowd. None of it makes a difference. Plenty of small fish, nothing bigger. If anything size seems to be decreasing. And 1000 does seem very high. There aren't that many operators out there. I would agree with the above and have no problem with that, even a very limited commercial operation. In addition F/N's may have been using nets for a long time, but don't try and tell me nylon nets have used for eons, the stuff was only invented in the late 1930's. If they want to use the netting, fine, lets start with traditional methods they claim and go back to weaving fibre nets made of bark and grasses, etc. Ya right. 1000 was the cap on he number of huts. That doesn't mean there are 1000 commercial huts (Billy Bob's is/was licensed for 10), but it's the number that was given some time ago and and it keeps the math simple. The reputable operators are generally booked solid. I haven't seen anything to indicate a "lack of business". I can only recall 2 (maybe 3) seasons where operators cut them short due to ice conditions. SSIC basically books up a year in advance. If you wait until Dec/Jan to book things start to get slim. Rob had always fit us in but he had a whack of huts when he was fully set up. Even the lesser-knowns get their weekends booked pretty solid. Mid-week is never as busy, but it's not like there's no business either (we have gone during the week. We are never the only ones!). "I would rhink the overall number of huts would be down just like the fishing" The fishing is through the roof. It's not like guys are coming up for a few walleye in a weekend. Some are catching from 1-200. Just because there are regs in place that doesn't let that get exploited doesn't mean that the "fishing is down". "Judging by he comments on here..." what gets posted on here is a drop in the bucket. Our trip this year was a fully booked weekend for our operator and they had multiple groups during the week. I dunno how many huts they had going full bore... 14? 18? My report was he only one posted.We pulled a keeper. So did several other groups (we asked). Nobody put up good numbers that weekend. It was decent, but not nearly what it would have been with a hot bite. The disgruntled are also going to be the most vocal when stuff like this comes up ("silent majority"). For every group that doesn't get a keeper in 170hrs or 3 years or whatever.. there is one that pulls up more than one in a weekend. I don't hear boo from the majority of people out there in private huts. A couple guys freelance and post on here every few weeks during the season, but beyond that... Callander Bay to Deepwater and the rest of the "South Shore", Jocko Pt, Sunset and the rest of the North Shore, the West Arm.. anywhere there is access there are huts. The reputable operators are generally booked solid. I suspect that might be changing soon though. It kind of keeps going on past reputation and then for a few years on wishful thinking that sizes will improve (which they aren't). Even if a group of 6 guys gets a keeper in 3 days (which most don't) that is still EXCEPTIONALLY bad when you compare it to the number of small fish. Not if the fishing essentially targets the small fish. North hunter, I wasn't going to reply but you make it hard not to but this will be the last as we both have different views.Your math may be simple but its wrong esp.using numbers you just stated were not correct.Even if angler numbers /huts were increased which i still do not believe is the case the fish are returned and there are more poor fishing days on Nipissing then good ones.The North shoreline used to have an armada of boats in spring.Drive by this year and have a look, you might see a couple. Kenster.. agree to disagree I guess. The fishing for us has been very, very good. My "math" was more or less used as an example to show that despite what some disgruntled fisherpeople report on this board, there is still a recreational harvest. The numbers can't be right/wrong if nobody knows what they actually are. It would be impossible to know for sure, but it is most certainly not none/zero. If we take the time to target pics ,we tend to get some keepers,alot of hard fishing.I personally think that the option of a keeper should keep most coming back.Im not happy about commercial fishing but I'm sure it won't stop.Nipissing is a beautiful peice of nature ,that many can destess from...enjoy it for what it's worth...priceless! Like kenster I said I wasn't going to add anymore to this debate but, I just can't help myself. 75% of angling effort on lake Nipissing was directed at walleye (not 90 or 95% as some have suggested)...and that has likely declined now since 2014's regulatory changes were implemented. 70% of winter anglers were classified as locals (<50 kms from the lake)...the remaining majority, Ontario residents, with a very few out of province. A Nipissing male walleye takes a 'minimum' of 3 years to reach spawning age (first spring they could spawn). A female walleye takes a 'minimum' of 5 years, sometimes 6 to reach spawning maturity. The walleye length/age growth model estimates/projects a likely 5 year old Nipissing female fish at about 42-44cms (16.5"-17.3")...a 6 year old female possibly 45-47cms (17.7"-18.5")..my best effort at graph extrapolation. That will make the oldest fish born since the start of the 2014 regulatory changes...just 5 years old opening day of the 2019 season. A 6 years old fish...the summer of 2020. Follow that information with the walleye age classification (% of walleye population by age) as determined/approximated by the 2013 fall walleye index netting results (FWIN)...all detailed in the 2014 'Lake Nipissing Fisheries Management Plan'. I'll let's others draw inferences from the above published data...and debate the accuracy, methodology of the sampling process. But these are some of the data/numbers that guided and led the OMNRF to enact the recreational angling changes put in place in May of 2014. I've simply presented the above information for thoughtful reflection and discussion. As I've said many times...this is a process...it's not going to be done or final results known in 5 short years. Neil, I enjoyed your insights...PM me sometime and we'll chat...and thanks Chuck Enwinde for your comment. How many tens of thousands of kilograms of bigger fish got netted in those five short years? Why are you not including this vital statistic? Netting data (commercial or otherwise) is not really available. They have a quota. If they meet it early they stop early. Off the top of my head I dunno what it is but 48,000 kg is a number that sounds familiar? A lot of people get really bent out of shape over the fact that they are allowed to net for profit, but we are the ones buying it.